Bail Bonds in Antelope Valley | Arrest, Jail and Bondsman Info. Bail Bonds in Antelope Valley | Arrest, Jail and Bondsman Info. If someone you care for has been arrested and taken into custody anywhere in the Antelope Valley, and you’re in search of local Antelope Valley bail bonds, we can help you quickly and professionally. 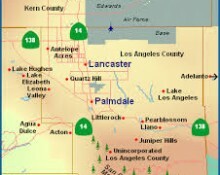 Our office and agents are local to the Antelope Valley and can work with you personally at the jail or your home, office or our office or whenever it’s convenient for you. If bail isn’t posted at any of these jails within 24 hours of an individual’s arrest, they will likely be transferred to one of the larger County facilities in downtown Los Angeles , such as, Twin Towers, Men’s Central or the Lynwood Jail (for women). These larger County facilities are very busy, so it’s important to understand that it can easily take an additional 24 hours to get someone bailed out once they have been transferred. Our recommendation is to always post bond for the defendant while they are still being held at one of the smaller station jails. When someone is arrested, they are taken to the police or Sheriff station to undergo the procedure known as booking and processing. This is where fingerprints and photographs are taken, and a national background check is conducted. Once this process has been completed, bail will be set (for those who are eligible) as per the Los Angeles County Bail Schedule. When you call us, we will ask the full name, birth date and date and time of arrest of the defendant. If not all of this information is readily available, don’t worry, we can still assist you. This information is used to quickly locate the individual within the jail system and verify his or her eligibility for bail. Once this has been done, the bail bond application forms and indemnitor agreement must be filled out. After that, one of our agents will be quickly dispatched to the jail and your friend or loved one will be released. If you are not in the area or cannot meet with us in directly in person, the bail bond application process can easily be completed from start to finish via phone, fax or email. What works best for you will always work best for us. We take cash, checks, major debit/credit cards (Visa, Master Card, American Express and Discover), money order, bank account transfer and money wire.